As you may know, this week the book is released. 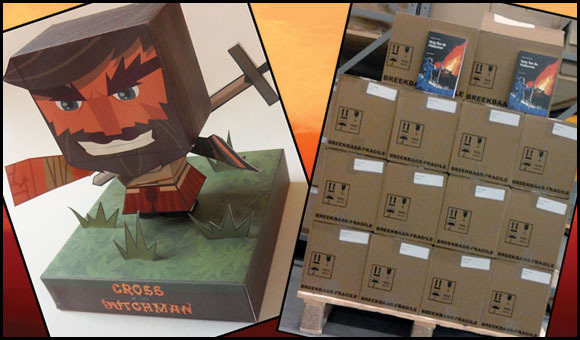 You may even know that last week we released an exclusive papercraft of Great Pier. Let’s combine those two into a contest shall we? You ask how? Here’s how! 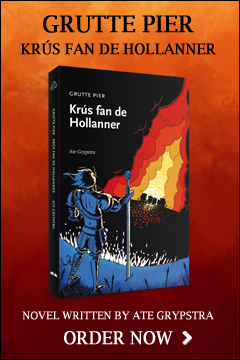 Enter our Facebook contest to win the Frisian version of the Cross of the Dutchman novel “Krús fan de Hollanner”! Build the Great Pier Papercraft. Make a Great Picture of it! Give it a cool pose, let it fight your hamster, we don’t care, as long as it’s awesome! Share it on your wall and tag Cross of the Dutchman! The maker of the best picture will be awarded the book. The contest will run until November 21st, 2012. Not feeling creative? Of course you can just order the book right away. Finally a REAL reason to create an account! Aw, I cant read Frisian so just got to wait a few weeks/months/eons for the Dutch/English versions of the book!